Awati J, Rajkumar P Malipatil. Effect of aerobic training on physical fitness components of hockey players. 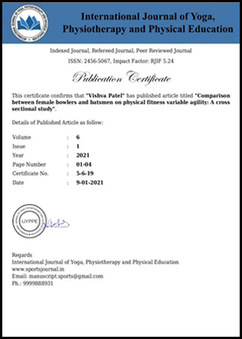 International Journal of Yoga, Physiotherapy and Physical Education. 2017; 2(5):14-16. Journal started from November, 2016. 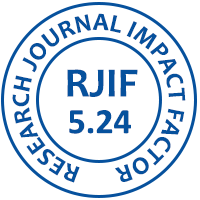 This Journal is publish regularly from November, 2016 and bimonthly regularly.